A pancreatic cancer diagnosis is often a death sentence for patients because both radiation and chemotherapy have very little effect on the disease. According to the National Institutes of Health, there will be nearly 53,000 new cases and 42,000 deaths due to pancreatic cancer this year in the U.S. However, a new research reported in ACS Nano could lead to the development of a new type of treatment derived from gold nanoparticles. In the past researchers have evaluated these tiny gold nanoparticles as a target to improve the effect of radiation on tumors or as a vehicle to transport chemotherapy drug molecules into tumors. In addition to this, Priyabrata Mukherjee and his colleagues discovered that these gold particles could reduce tumor growth and metastasis in a mice model of ovarian cancer. Now, the researchers have determined that the same process could be used for the mouse models of pancreatic cancer. 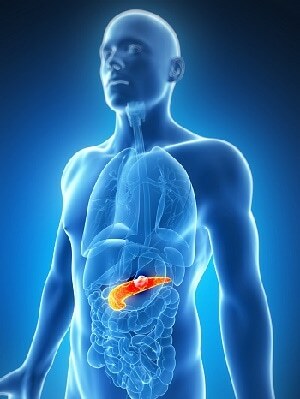 The new study revealed details about the functioning of cellular communication in the surrounding area of pancreatic tumors. The researchers used gold nanoparticles to disrupt cellular communication, which is partially responsible for the lethal nature of this cancer, to inhibit the cell proliferation and migration that normally occurs near pancreatic tumors. The researchers also note that the tiny gold nanoparticles used in this study are not toxic to normal cells. The authors receive funding from National Institutes of Health.